Low Interest Rates & Easy Qualification. The Federal Housing Administration (FHA) protects the lender from loss in the case of a default on the loan. This insurance allows us to offer low interest rates and eligibility requirements for FHA loans. This makes FHA loans the easiest type of mortgage to qualify for and for some the cheapest monthly premium. The only caveat to the low interest rate is that FHA loans require the borrower to carry mortgage insurance on the loan, which is commonly referred to as MIP (mortgage insurance premium). When considering this loan type, it is important to consider this and compare benefits of those mortgage types of which you qualify. No matter which type of loan that you choose, it comes with the HomeRate Mortgage Guarantee: Quick quotes, low rates, & fast closing times. If you’re dreaming of being a home owner but not sure if you have good enough credit to get the financing you need, an FHA loan could be the solution for you. The FHA mortgage program was created in the 1930’s to help borrowers get the homes they want and to give mortgage lenders peace of mind. With a guaranteed that loans will not be defaulted on, lenders are more willing to offer favorable terms and rates for people with less than perfect credit, or even no credit in some cases. Down payments can be as low at 3.5% and even can be covered or “gifted” by a family member or employee. Sound too good to be true? Read on to find out more. The main distinctive feature of the FHA loan is that it is insured by the Federal Housing Administration government program. It comes with less rigorous lending requirements as compared to other mortgage loans, while offering one of the lowest down payment requirements. The fact that FHA loans are insured by the federal government makes mortgage lenders more relaxed and willing to approve these types of mortgages. Contrary to most other loans, homebuyers with questionable credit scores (as low as 500) and history can still access the FHA loan because of its lower requirements. As an applicant, you will be required to have two lines of credit, such as bank cards, car payments, student loans, or something similar. If your credit history is not sufficient, you can still try to qualify through a substitute method. FHA loans attract some of the lowest interest rates in the mortgage sector. Lower rates mean more money saved to spend elsewhere. You can still qualify for an FHA loan even if you have a history of bankruptcy or foreclosure. Just make sure your current situation reflects reestablished reliable credit and solid recent payment history. It is not only interest rates that are low with FHA home loans; fees too are offered at discounted rates compared with other loans. This applies to costs such as mortgage insurance premiums and closing cost. If for any reason you want to, or need to sell your FHA-financed home, the new buyer can take over the loan for you. This is not automatic, but a common practice. That means once you sell the house, you don’t have to worry about the loan, penalties, interest, or other conditions anymore. The maximum amount of financing you can receive varies from state to state and county to county. Generally, the amount an individual is able to borrow is capped at $625,000. However, this limit can be raised to $729,750 in places that are considered higher cost areas. These limits are constantly updated, so be sure to check the current maximums when thinking of applying. While most lenders will take you through the basic ins and outs of the mortgage requirements, it is always good to be informed. So here are some tips and tricks that might come in handy. Although it is called the FHA loan, the FHA is not the actual lender, but just an insurer. Interested lenders can choose to partner with the FHA to offer the loan to home buyers. Before you put pen to paper on any deal, make sure that lender is actually approved by the FHA. The FHA allows you to transfer payment of certain expenses like credit reports, appraisal fees, and closing costs to the seller, builder or lender. Sellers and builders usually accept these cost as an incentive because it means a buyer is interested now and they will be able to sell, and get their money, quickly. The FHA mortgage program isn’t just for your initial purchase, but also has a special loan known as the 203(k) that is targeted for homeowners who want to borrow money for home repairs. You can get up to $35,000 for non-structural improvements. This increases the overall value of your house. If you are having difficulty making your monthly payments, some lenders are able to negotiate more lenient terms and conditions, such as extending the length of your loan, or offering a lower interest rate for a temporary period. Note that the hardship must be caused by a genuine reason, such as financial hardship resulting from an illness and not because of mismanagement of funds. All FHA loans require you to have two mortgage insurance premiums (MIP). The first is an upfront premium of 1.75% of the total amount borrowed. That means if you borrow $100,000 the premium will be valued at $1,750. Usually, the premium is payable after you receive the loan and you can add it on as part of the loan. The second is known as the annual premium. Despite the name, it is payable on a monthly basis. It varies from one borrower to another depending on the amount borrowed, duration of the loan, and the loan-to-value ratio (LTV). Always go with a respected experienced lender, like HomeRate Mortgage, who can offer you quick quotes, low rates, and quick closing times. Many qualifications for an FHA are standard with one notable exception- a much more relaxed requirement for minimum credit score when compared to other types of loans. One of the main draws of an FHA loan is the relaxed credit requirement. Most providers tend to look at the big picture when it comes to financial standing instead of rejecting a borrower because of any one criteria. Generally, people with credit score is less than 500 are not eligible for an FHA loan. Those with a score of 500 to 579 will be required to make a down payment of at least 10%. If yours is 580 or above, you can get the FHA loan with a 3.5% down payment. You must show that you have been employed steadily and have a reliable source of income. You will have an advantage if you have worked for the same employer for at least two years and are projected to keep your job for at least another 3 years. You must be a valid U.S citizen with a social security number. You must also be of sound mind and legal age to enter the mortgage contract. If you add in other monthly expenses, such as car payments, student loans, and credit cards, it should not be more than 43% of your monthly income. With good credit, and a strong employment history, lenders may be more flexible with these benchmarks. You will be required to make at least a 3.5% down payment. As noted before, borrowers with shakier credit may have to put down 10%. The FHA loan will only be given to you if you are using it to finance your primary residence. Note that the house must meet certain safety and sanitary minimum standards. If it doesn’t, and the seller is not willing to make the necessary repairs, then you might be forced to do the repairs yourself, as well as pay for those cost out of pocket, before you apply for the loan. Remember that it will be inspected before your loan is approved. Applying for the FHA loan is a very simple process when using a trusted FHA approved lender. 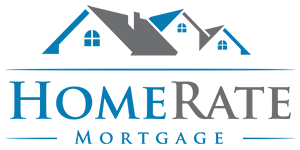 At HomeRate Mortgage we work with you and your information to get you the best conditions possible so you can get into a home as soon as possible. Want to see your best rate for a FHA loan? Apply Now!